Vern Burkhardt (VB): What is the value of defining contradictions in the TRIZ problem solving process? Jack Hipple: When working on a product or process design challenge it should be defined in terms of a contradiction rather than simply saying it should be made better. When Genrikh Altshuller and those who followed him studied the breakthrough patents of the world, which represent about 5% of the total, they found that almost all of them overcame difficult contradictions. The emphasis is on them being ‘difficult’ contradictions as compared to normal engineering design contradictions which are relatively straightforward to resolve. A contradiction occurs when you are trying to improve one parameter or characteristic of a technique – a technical system or a technological process – but the same or other characteristics or parameters of the technique are affected negatively. Most often a problem is not solved if its contradiction isn’t overcome. Let me give you a simple example to illustrate this point. If the goal is to increase the speed of an airplane, installing a more powerful engine will provide more thrust. But a larger engine will increase the total weight of the airplane, which in turn, will require increasing the size of the airplane wings to generate lift during takeoff and the increase in size will also increase fuel consumption. The larger wings will increase drag force having the effect of slowing down the airplane. The goal of increasing the speed of the airplane was not achieved because this central contradiction was not resolved. A design based on TRIZ tries to solve the contradiction, creating a system in which the improvement of one characteristic is not accompanied by deterioration of others in the system. Resolving the contradiction is in contrast to the usual engineering approach of dealing with trade-offs and making compromises. Creativity is required in order to come up with non-obvious solutions. The goal in the airplane example would be to keep or strengthen the characteristic of speed in such a way that weight and wing sizes do not increase and preferably are improved. VB: And the value of the inventive principles? Jack Hipple: Studies of breakthrough patents found that there are 40 high level inventive principles which were used in resolving the contradictions that led to virtually all, if not all, of the world’s breakthrough inventions over the past 60 plus years. In my reviews I have not found any exceptions to this other than for some chemical and biological mechanisms. VB: How do you determine which inventive principles have the most likely potential to help you solve the contradiction you are working on? Jack Hipple: I’ll start by talking about the TRIZ contradiction table which is a matrix of 39 parameters of physical and engineering systems. On the ‘y’ axis of the table you identify which of the 39 features or parameters you wish to improve in your product or process design, and on the ‘x’ axis you identify which of the 39 features or parameters will become worse or deteriorate with such improvement – the contradiction. At the intersection of these two on the table you will see one or more inventive principle which has most frequently been used to resolve this type of contradiction. The table reflects the findings of the analysis of hundreds of thousands of patents. When you are attempting to resolve your contradiction, focusing on these inventive principles is most likely to lead you to a novel idea. VB: No doubt it is much more complex than it sounds. Jack Hipple: Yes, there is a danger in oversimplifying a problem by defining only one contradiction, and therefore focusing on what may be the wrong or less helpful inventive principles. That’s why for a system or process, which is complex, it’s advisable to use a TRIZ system-modeling tool for identifying the multiple functional relationships and numerous contradictions in the system. Commercial software is available using ARIZ – Algorithm for Inventive Problem Solving – for modeling complex systems and identifying multiple contradictions. They will assist you in deciding which contradictions to focus on should you need this level of sophistication. In my book I talk about a ‘middle ground’, which will work for many problems. In this approach you identify in generic terms several sets of contradictions which characterize a system. You then map each set of contradictions using the contradiction table, and your problem solving effort is then focused by using the inventive problems which appear in several of these sets of contradictions. VB: In your book you say that TRIZ takes the opposite approach to brainstorming and the many other approaches to creativity which strive to generate as many ideas as possible because few will be useful. Would you explain? Jack Hipple: Since there are only 40 inventive principles which account for all solutions to contradictions, it is better to be focused on generating fewer ideas and have them be related to those inventive principles most likely to solve your problem. It always turns out that there are two or three of the 40 inventive principles that show up across the entire range of contradictions related to your problem. This is where you should start when using the principles to generate ideas. It’s also a productive way for individuals who wish to use the TRIZ contradiction table on their own. While it would be a ‘low level’ use of TRIZ, if you were involved in a brainstorming process you might try randomly referring to the 40 inventive principles when thinking of ideas to solve the problem. Another possibility might be to identify some of the inventive principles in advance of the brainstorming session by using the TRIZ contradiction table, and then you could periodically ask the brainstorm group how they would apply the principle to the problem under discussion. Of course, you will first have to ensure that the problem is adequately described as a contradiction in generic terms. VB: Would you provide us with some examples of the use of the 40 inventive principles? Jack Hipple: There are many examples great examples of the use of the 40 TRIZ inventive principles in products and systems that you use or see every day. Since these principles were recognized as the key to new inventions over 60 years ago, you might ask yourself why it took so long for some of these inventions and ideas to be conceived or used. Each of them resolves a product design, consumer use, or business strategy contradiction. TRIZ Principle #1: Segmentation entails dividing a system or object into independent parts, increasing the degree of segmentation of an object or system, or making an object easy to disassemble. Closet separators, Venetian blinds, modular furniture, PCs replacing mainframe computers, Kraft Lunchables™, market segmentation as a marketing strategy, autonomous profit centers, franchising outlets, SWOT analysis, modular furniture, flexible pensions, distance learning, and the use of temporary workers on short-term projects are a few examples of the use of this inventive principle. 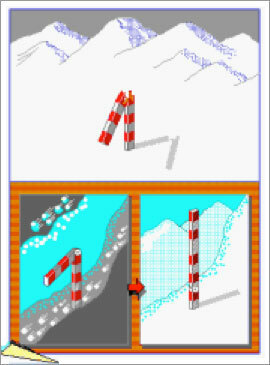 This inventive principle can be illustrated by the problem of how to measure snowfall in the mountains. The contradiction is the measuring device must be vertical so you can see the depth of the snow pack but it is susceptible to damage by slow slides or avalanches. The segmentation inventive principle may lead to the conclusion the measuring pole should not be one single long pole, but rather be in segments that are hinged and spring loaded so they can bend and return to a vertical shape after a snow slide. Of course, there are many other solutions which would and have been developed using other inventive principles, but this is an illustration of how segmentation could be used. TRIZ Principle #2: Taking out, trimming, or physical separation focuses on removing a part of a system, product, or process which may be unnecessary; providing some advantage; or minimizing a disadvantage. It may involve separating an interfering part or property from an object. Locating noisy compressor outside of the building where it is used, outsourcing non-core competencies to contractors, utility rate reductions in exchange for reduction in peak usage, removing non-essential ingredients in food products, separate shopping locations for segments – Gap Kids™, using the sound of a dog as a burglar alarm but without a dog, marketing base products for which added features may be added later at a cost, Lean Manufacturing, Just-In-Time inventory management, skunk works, and activity-based costing are examples. An example of the taking out inventive principle is a cellular phone that is user-friendly and does not have all the other usual features of a smart phone, such as camera or the ability to text or email. 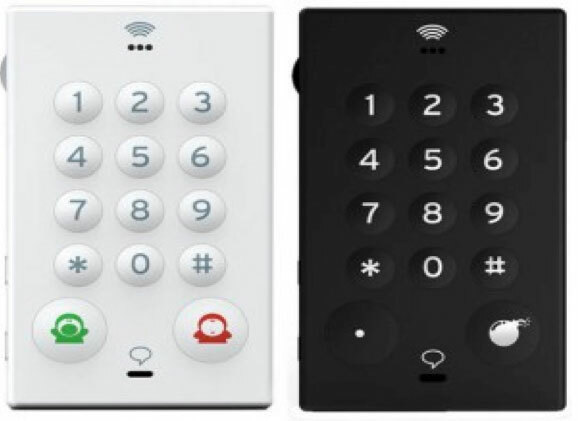 This is a product that may appeal to some of the elderly in nursing homes who only want the ability to call friends and relatives. Previously we spoke about a telephone available in Israel targeted at school age children whose parents want them to only receive calls. TRIZ Principle #3: Local quality changes the structure of an object, system, process or external environment from uniform to non-uniform. Or it makes different parts of an object, process, or system perform different functions. Another possibility is to make each part of an object function in conditions which are most suited to them. Gasoline blending as a function of climate, straws that purify water as it is consumed, targeted radio pharmaceuticals that only go to one organ in the body, changing pricing as a function of local conditions or weather, customizable software, flexible working hours, and positioning factory or distribution centers near customers are a few illustrations of the local quality inventive principle. 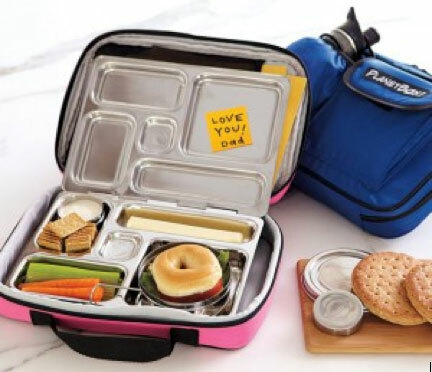 A lunchbox with special compartments for different types of food is an example of local quality. 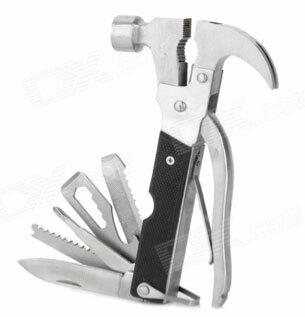 There are countless numbers of multifunction tools, which use this inventive principle. TRIZ Principle #4: Asymmetry is the use of nonuniformity, especially in a geometrical sense but it could also be in time or sequence. If an object is already asymmetrical you might increase its degree of asymmetry. Using dissonance in music, non-uniform organizational structures, architectural designs, asymmetrical mixing vessels or asymmetrical vanes in symmetrical vessels to improve mixing as with cement trucks, cake mixers, and blenders; 3600 appraisals, and skewed normal distributions are some examples. The engine cowling on the Boeing 737 400 series is a great example of the asymmetry inventive principle. The contradiction was the larger and heavier 400 series required a larger engine but a larger cowling would not meet minimum requirements for height from the tarmac. The result was the design of an asymmetrical engine cowling. 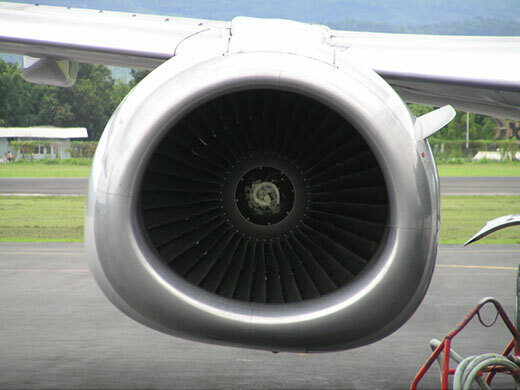 Let me talk a bit more about how TRIZ helped solve this Boeing 737 engine problem. The engine would be considered to be a moving object. There was a need for more thrust with the heavier aircraft so the engine air intake and the fuel injection casing had to be larger. So the improving feature was engine volume. However, if the volume of the engine were to be increased, it would decrease the clearance distance between the bottom of the engine and the ground (worsening feature). Referring to the TRIZ parameter definitions you see that the improving feature is number 7, ‘volume of moving object’ – the engine intake area and the cowl with the fuel lines. The worsening feature is number 3, ‘length of a moving object’ – engine diameter which is to say the clearance from the tarmac. When you look at the matrix where ‘volume of moving object’ on the ‘y’ axis intersects with ‘length of a moving object’ on the ‘x’ axis you find the following inventive principles: asymmetry, segmentation, nested dolls, and parameter changes. From the perspective of >i>segmentation you would separately consider the engine air intake and the area of the casing surrounding the intake, and conclude the intake area must be circular because of the spinning blades inside the engine. From an asymmetry perspective you would conclude that the intake area and the casing do not need to be symmetric. Then the nesting inventive principle could lead you to ask whether the symmetrical blades and moving parts be ‘nested’ inside an asymmetrical casing. The TRIZ team working on this problem and using asymmetry concluded that the solution to the contradiction would be to make the air intake area symmetrical, but make the casing and intake area asymmetrical in order to flatten the bottom of the cowl, which would provide a greater clearance from the tarmac. 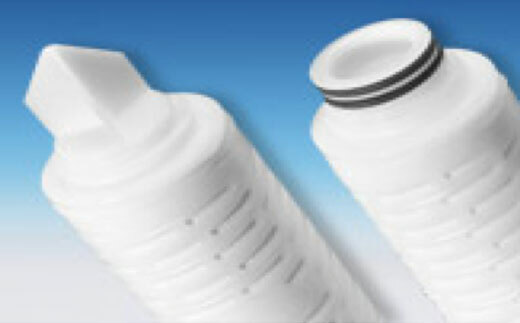 Pall Corporation’s Asymmetric P-Nylon Filter also uses the asymmetry inventive principle. This filter is used for I-line 248 nm and 193 nm photoresist, anti-reflective coatings, and solvents. Another example is the asymmetric box corner. TRIZ Principle #5: Merging or combining involves bringing closer together identical or similar objects, assembling identical or similar parts to perform parallel operations, or making operations contiguous or parallel or bring them together in time. There are many examples of this inventive principle, such as office machines with multiple functionality versus a separate machine for photocopying, faxing, printing, and scanning. Other examples include bi-focal tint varying sunglasses, Swiss army knives, multifunctional tools, personal computers linked within a network, thousands of microprocessors in a parallel processor computer, vanes in a ventilation system, slats in vertical blinds linked together, mulching lawnmower, medical instruments that analyze multiple blood parameters simultaneously, and even debt consolidation. 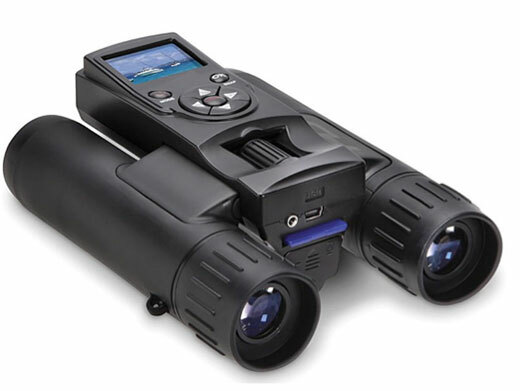 The digital picture-taking binoculars enable you to see long distances, as is the function of binoculars, and also to take long-range photos and videos that can be downloaded to your PC. 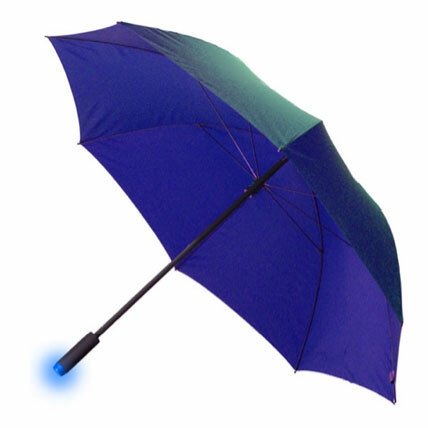 Ambient Devices Inc’s Forecasting Umbrella contains a data-radio in its handle. 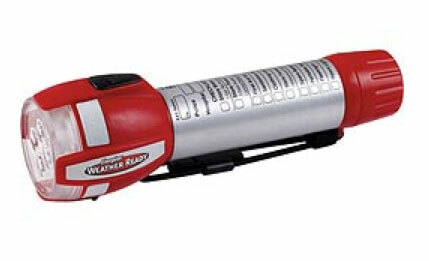 It tunes into AccuWeather.com and a light in the handle pulses 100 times per minute if there is 100 percent chance of rain in your geographic location. The pulse rate is less for lower risks of precipitation. A smart phone combines many uses into one device. 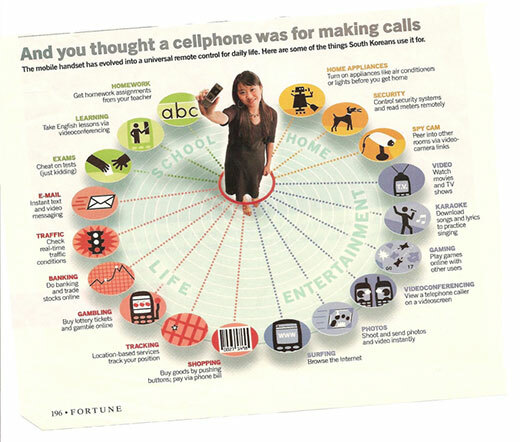 As indicated in this illustration about the uses of the cell phone in Korea, it has evolved into a universal remote control for daily life. Combined into this one device are the abilities to get homework assignments from your teacher, take lessons through videoconferencing, email, check real-time traffic conditions, online banking and trading of stocks, gamble online, track your position, shop and pay bills, surf the Internet, take still photos and videos and send them through the Internet, participate in a videoconference, play games online with others, practice singing with downloaded songs, watch movies and TV programs, peer into other places through video camera links, remotely control security systems and read meters, and turn on appliances and lights remotely. This is an incredible example of merging many functions into one device. Another example of the merging inventive principle is the TimeMug, which is available from SkyMall.com. It has a quartz timepiece on a dishwasher safe glass and is available in 14 colors. There are so many other great examples of merging of two or more things. 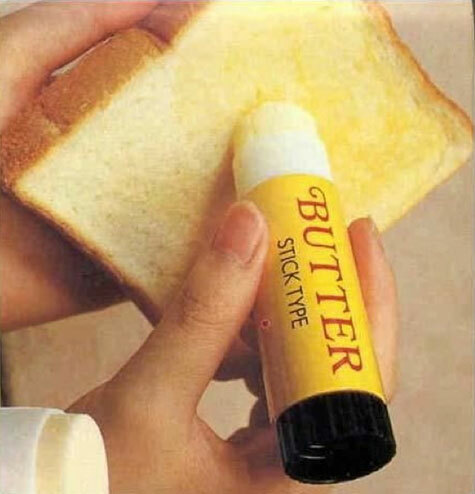 Look at the butter in the form of an application or writing stick. TRIZ Principle #6: Universality refers to making a part or object perform multiple functions. This inventive principle often leads to the elimination of the need for another component or part, or the separation of a system or part. 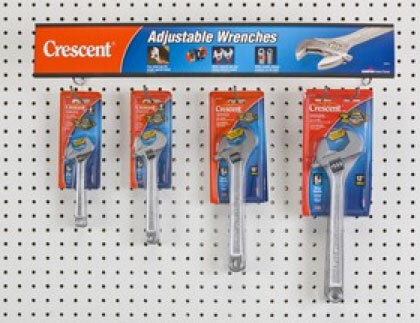 The adjustable wrench, personal computers that accept multiple input voltages, child’s car safety seat that converts to a stroller, and the combined Phillips and normal head screwdriver are examples. 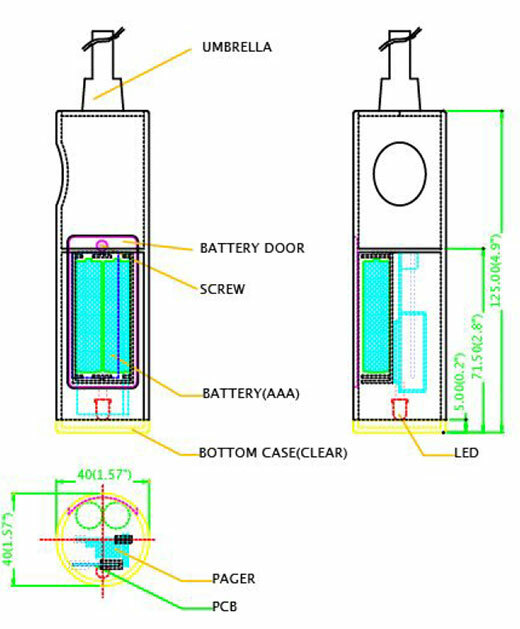 Another example is the Energizer Weather Ready Power Select LED Flashlight, which uses two AA, C or D cell batteries. The manufacturers of the Little Giant latter claim it is the “strongest, safest, most versatile in the world. 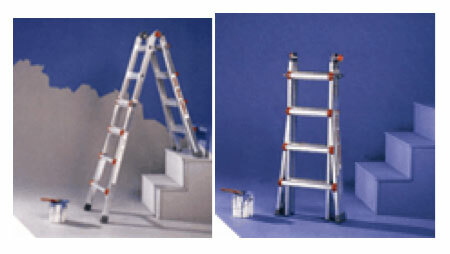 It works as an extension ladder, staircase ladder, ninety-degree ladder, scaffolding, and A-frame ladder. This is another example of universality. TRIZ Principle #7: Nested Doll as an inventive principle refers to components or parts of a system being ‘nested’ within a supersystem to conserve space, use unused volume, contain one thing inside another in a controlled way, or have one part pass through the cavity of another part. A few examples are software architecture, extendable radio antenna, extendable pointer, zoom lenses, seat belt retraction mechanism, retractable aircraft landing gear, nested measuring spoons, and in casino hotel design guests must pass through the gaming area to go to the restaurant, hotel registration, and even the lavatories. You may know this as ‘Matryoshka’, which derives its name from nested dolls in Eastern Europe. It consists of wooden figures which can be pulled apart to reveal another figurine of the same sort inside. It, in turn, contains another one inside, and so on. The number of nested figures can be as few as three or as many as twenty. We previously spoke about how important it is to describe a problem in generic terms. Assume you wanted to redesign the function performed by a paint tray. Describing the problem as being how to hold paint between each roller application you would likely focus on the design of the paint tray. But what if you were to describe your problem in words that encourage the ‘Ideal Result’ – something that performs its function and does not exist? The paint tray problem might be described as how to provide volume to hold the paint. The Stanley Black & Decker pivoting RapidRollerTM system, based on the principle of nested dolls, has a hollow handle to hold paint and feed it to a roller. 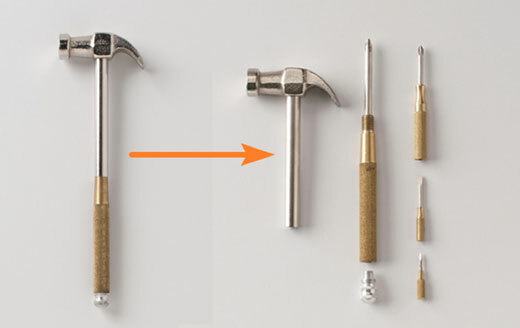 Another example of nesting as an inventive principle is the design of multiple sizes of screwdrivers inside each other with the largest of the screwdriver handles forming the handle of a hammer into which it fits. You can see in this device the inventive principle of the Matryoshka dolls. 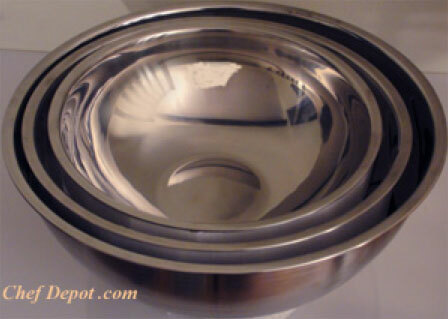 And then there is the common household example of the mixing bowls. TRIZ Principle #8: Anti-weight is compensating for the weight of an object by merging it with other objects which provide lift or compensating for the weight by making it interact with the environment. Some examples of this inventive principle are hydrofoils, aircraft wing design such as the use of vortex strips to provide lift, assembly line counter-weights to assist in lifting, use of foam or lightweight gas to provide buoyancy, helium balloons to support advertising signs, inserting foam into a bundle of logs to make them float higher, use of teachers’ assistants and paralegals to compensate for time pressures, and merger of companies to take advantage of the other’s stronger capabilities. 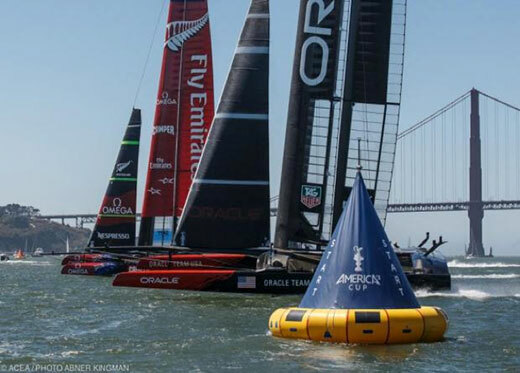 The hydrofoils on the 2013 America’s Cup boats were a spectacular example of the anti-weight inventive principle. TRIZ Principle #9: Preliminary anti-action is performing a function before it is needed, pre-arranging processes or products, or preparing a system for change. Sunscreen lotions, pre-stressed concrete, “poison pills” to prevent corporate takeovers, project pre-planning, and use of story boards to facilitate creative problem solving – gathering the data before the creativity session – are examples of preliminary anti-action. Having antivirus software on your PC is an anti-action to control harmful effects. A common application of this inventive principle is masking something before harmful exposure, such as using special masking tape to protect those parts of an object that are not to be painted. 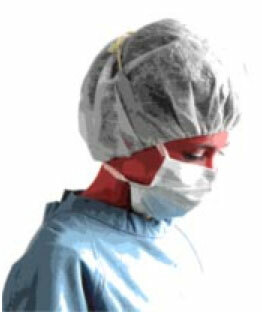 Another is the use of breathing masks and other safety gear to prevent harmful exposure. TRIZ Principle #10: Preliminary action, ‘Do it in advance’ is partially or fully performing a function before it is needed, prearranging processes or objects so they can come into action from the most convenient place and without losing time for their delivery, or preparing a system for change. Some examples of this inventive principle are a legal will, pre-pasted wall paper, sterilized instruments needed for surgical procedures placed on a sealed tray, ready made food, training for emergencies such as fire, tornados, or earthquakes, “stop loss” stock market orders, pre-formatted documents, and job planning to avoid accidents. Another example is most file copying programs first check the space in the target disk and confirm availability of sufficient space before starting a copy operation, in order to avoid situations where a copy operation is partly finished and the system crashes because of insufficient space. Cell manufacturing, an example of preliminary action, is a model for workplace design and has become an integral part of lean manufacturing systems. 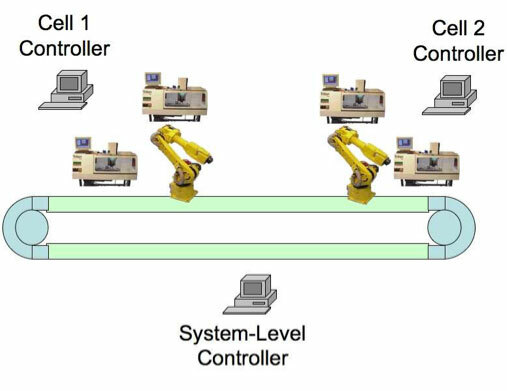 The basic components of a flexible manufacturing system includes two or more computer-managed numerical workstations which perform a series of operations; an integrated material transport system; computer which controls the flow of materials, tools, and information; and auxiliary workstations for loading, unloading, cleaning, and inspections. Conclusion: Don’t accept contradictions. Resolve them. Identify the Ideal Final Result. Consider using the defect, which relates to the contradictions, as a resource to solve the problem. TRIZ is based on two basic principles. Somebody, sometime, somewhere has already solved your problem or one similar to it. Creativity means finding that solution and adapting it to the current problem. Knowing and using these 40 inventive principles will enhance our innovation abilities. They have stood the test of time since 1946! Author Jack Hipple recently taught a TRIZ course in Medora, Mexico for the Mexican TRIZ Association. He is teaching “TRIZ: The Theory of Inventive Problem Solving” in New Orleans, Louisiana on December 11th to 13th with sponsorship by ASME – American Society of Mechanical Engineers. This 3-day course, which provides a basic introduction to the Inventive Problem Solving Process, is also being offered in Minneapolis, Minnesota on April 28th to April 30th, and in Houston, Texas on June 2nd to June 4th, 2014. TRIZ stands for ‘Teoriya Reshniya Izobretatelskikg Zadatch’ in Russian.